After years of study as an historian, I now believe that Jesus simply died, and the rest was invented, consciously or not, by his disciples, as a means to carry on his teaching and gain divine authority for it--precisely the same thing preachers use the story for today (for what I think really is most likely, see Summary). But even if we posit that there is some truth to the appearances of Jesus after his death, even if we grant half of the argument, as I am willing to do here, the argument fails to convince. Why? Because there are too many reasons to doubt that a miracle occurred at all. For the event to be a miracle, the Resurrection must defy the course of nature, and for that to happen, Jesus had to have died. His heart had to have lain still and quiet for up to half an hour, his brain had to have starved from lack of oxygen, with the whole network of neurons largely disintegrated, dissolved from massive cell death and the pooling of blood acids. Gases and fluids had to pool in his extremities and body cavities, with rigor mortis setting in, and coming and going as it does. His body had to begin to rot. Anything less than this cannot be considered death. If his heart kept beating, perhaps one can argue it was only in defiance of nature that it did so, and perhaps one can extend this argument to the brain, to the decay of the corpse, or to every aspect of death. Perhaps Jesus lay in a magical, miraculous stasis. This would entail that he was not Resurrected from death, but that he survived by a miracle instead. But this would still be the claim that he survived by miraculous intervention, and that his survival was in spite of nature, and not an exhibition of the natural, if extraordinary, course of physics, chemistry, and biology. I claim that we have no reason to believe that either miracle occurred. For we have no reliable evidence that Jesus died, and we certainly have none whatsoever that he survived by some magical kind of stasis: no one observed the corpse of Jesus while it lay in the tomb, and no doctors examined him, on the cross or off it. Indeed, not only do we have no way of really knowing that Jesus died on the cross (we can't travel back in time with the medical machinery and team of doctors necessary to certify it), there is an abundance of evidence which throws suspicion on the claim that he did. This suspicion, even though it does not produce a belief that he survived, is nevertheless sufficient for any rational person to remain unconvinced that anything miraculous happened, even if it actually did. That is, even if a god wanted this to be a proof of something, he failed to make it so. The evidence leaves enough room for survival to be naturally possible. But even though the survival of Jesus is very unlikely, it still cannot be excluded with enough certainty to justify categorically denying it as something impossible, and so it cannot be excluded with enough force for one to believe that divine intervention is the most sensible explanation. This is all that this essay will show. It is easy to test the Christian's honesty in claiming that the evidence warrants rational belief. Simply posit essentially the same evidence and essentially the same account, but given of a modern Bob, whose central message was that Christianity was a lie, and that his was the true word of God, and his resurrection was proof of that. Would the Christian convert? Logically, he must, for the evidence is exactly equal in merit but for these details: the new message is more recent and has not had the opportunity of being doctored or mishandled in transmission, and it has occurred in an age where almost everyone is literate and in possession of more scientific literacy than even the most educated scholar of two millennia ago. These two advantages are enough to give the evidence for the new messiah far more weight than that for the old (we might even add a third: the fact that the means and personnel would be available to test the event in ways never possible two millennia ago). But would the Christian convert, and renounce Christ? I doubt it. I think, then, the Christian would see all that is really wrong with his own evidence. It is far too weak to warrant conversion to Bob. But this entails that it is even weaker still in the case of Christ. II. What Are the Odds that Jesus Could Have Survived? III. What Are the Odds of Trickery? V. How Do We Know He was Dead? VI. How Could He Get Out of the Tomb? VII. What Are the Odds That Jesus Was Speared? VIII. Was the Tomb Guarded? IX. If the Tomb Had Guards, What Are the Odds of Evading Them? XI. How Do We Account for the Rise of Christianity? Decision theory is the science of making our decisions more accurate, and more capable of being analyzed. The idea is simple: instead of trusting intuitive judgments that others cannot examine, and that we cannot consistently weigh against other judgments, we can try instead to assign numerical values to the weight of our judgments, and use math to analyze them. In this section, I will use a simple form of this method, so you can follow along and do your own math with your own judgments, and so you can see what weight I give to my own judgments. The statistics that I employ from here on out are thus given to quantify my estimations of the relative weight of options, so that you, and I, can see more clearly what I mean when I say "this is unlikely" or "this is very likely" or "this is more likely than that." I am doing the same thing everyone does when they evaluate evidence and make a decision concerning what to believe, only I am doing it more openly and with greater precision. I am committing to more concrete guesses, and not hiding behind vague allusions. Why? The first reason is because this allows other readers like yourself to insert your own values for each probability, based on your own beliefs about, and familiarity with, reality. And, using exactly the same evidence that I present, you can come to your own conclusion. That is the merit of applying decision theory to something like this--especially an issue that is so very complicated. In the end, I will consider the possibility that my estimates are greatly in error, and then show that even if they are ten times off the mark, then my conclusion is still valid. Indeed, they could be a hundred times off the mark, and I think my conclusion would still be valid, for even a royal flush is a very unlikely event, yet hardly a miracle. And it is important to emphasize all that this conclusion is: the realization that the probability of survival is not low enough to make it impossible. For I actually conclude that the probability is low enough to disbelieve in survival, since we have more probable natural explanations available (see Summary but especially General Case for Spiritual Resurrection and Main Argument), but if we had no other explanations, the probability of survival is still high enough to believe he survived before believing in a miracle. This leads me to another reason I use numbers here: it is often claimed that an event is a miracle when it is so unlikely to happen naturally that there is no way we could expect it ever to happen. This invites us to test this theory by estimating the unlikelihood of survival, a natural explanation of the Resurrection, to see if we must conclude that it is a miracle (see Note 1). There are certainly natural events that are so rare that they only happen to one person every generation, and though this means that there is a 1 in 6 billion chance of such an event happening naturally, we see that this is almost certain to happen once every generation. Even reducing the population to a low ancient value of 100 million, an event as unlikely as 1 in 100 million persons-per-generation will often happen once every generation. So the odds of a natural explanation for the Resurrection must be less than at least this figure before we can conclude that natural explanations are too implausible to believe. Therefore, the chance that Jesus survived and this was interpreted or refashioned into a claim that he rose from the dead must be less than 1 in 100 million, before we can begin to claim a miracle must have happened instead. It must be added, however, that some events that are even very likely may still only ever happen once: that a man exactly like Winston Churchill should be born and grow up to lead England during a war with a Nazi-run Germany is certainly no miracle, even though it is almost certain to happen only once in all of time. This is because the convergence of all the right circumstances must be present, and even though such a convergence is not improbable in itself, that such a convergence would happen again is improbable, to the point of being almost impossible. Thus, even though I find the Resurrection to be more likely than an event that happens only once in a generation, it does not follow that it should have happened more than once, despite the passing of hundreds of generations. Like Winston Churchill, that the right circumstances could converge once may be likely, but that they would do so twice might be extremely unlikely indeed--although we do have a record of a resurrection, giving birth to a religion, happening at least one other time: the resurrection of the Thracian Zalmoxis, which Herodotus (4.94-6) feels happy to give a natural explanation in trickery, even though he could not really have had any more proof than we do in the case of Jesus (see Main Argument). It is important to emphasize that my use of statistical numbers in this section is not science, nor is it a new method of "doing history." I do not claim scientific accuracy, and I am not solving a historical problem--this section is not about what happened, but what could have happened. It is about historical potential, not historical truth. Hence, I only claim to be making decisions about probability and likelihood, which everyone does, with less care, every time they decide what to believe, and using this to reveal why I do not believe survival to be impossible enough to ensure it was miraculous. And if you agree with my estimations, or using your own still come to the same conclusion, that then entails you should not believe it either. So this is not a trick or a pseudo-argument, but an attempt to make my reasoning more transparent and thus more easily tested against your own subjective understanding of the same facts. I thus encourage, and expect, every reader to consider each fact on their own, and determine in each case their own estimations of probability, and then do the math again, based on your own estimations. Decision theory is designed for this very purpose, and before the Conclusion I give the complete equation that is built up throughout this section. In developing it, I believe I have accounted for all the significant questions in how I personally arrive at the odds of survival. Yet each distinct estimation of odds involves a collection of assumptions about the circumstances and setting, and I try to mention all of them that influence my decision regarding probability. This leaves two ways in which I can be corrected: first, if I fail to account for a significant factor in my equation; and second, if, in any one of the factors I do consider, I have neglected a feature of the situation or time as we know it, or gotten one wrong. The second error, once pointed out, may change my estimate of the odds for that factor. The first error, once pointed out, may change the equation itself. If you find any such errors, please call them to my attention by sending Secular Web Feedback. Even if I end up rejecting certain factors as irrelevant or insignificant, you can still account for them yourself, by letting them affect your own estimation of the odds of the relevant factor in the equation when you calculate your own conclusion. And before rejecting my conclusions, I ask all readers to run through the equations themselves, and honestly, to see what you actually must believe on your own assumptions. Jesus, we are told, was taken down the same day he was put up, without breaking his legs, unlike the others crucified with him (John 19:32; nor does any other Gospel mention his legs being broken). Death by crucifixion typically took days, and breaking the legs is, based on this passage, taken as a possible means of hastening death, by perhaps cutting off the airway under the weight of the crucified's own body. Thus, the possibility of his survival remains. Being removed before the typical time of death, and being treated uniquely among all others in the same place and time, in such a way as to increase greatly his chances of survival, casts great doubt on his death. If we imagine that even as few as 75% of all victims survived on the cross more than a day (at least such odds are necessary for Pilate to express amazement at Jesus' early demise in Mark 15:44), then already we have a 75% chance that Jesus did not die on the cross. It has been noted that we must also explain how Jesus survived his scourging or torture, as well as the crucifixion itself and the burial. But this is not necessary. All victims of crucifixion were routinely scourged, and frequently tortured, beforehand, and thus if people regularly survived for days (and all evidence suggests they did), this means they regularly survived for days despite their additional scourging and torture. All accounts as we have them show Jesus alive after any torture he suffered, so we do not have to account for his surviving it--all witnesses already claim that he did. It is also not remarkable. People in history have survived far worse. The removing of tongue, nose, and ears was a common punishment in Sumeria, and you can bet they did not use antiseptics, anesthetics, or sutures, and this was all too often survived--that was, in fact, the point of doing it. As for the burial, being carefully swaddled and lain on a slab in an open, roomy tomb is never going to present a survival problem. Evidence from Josephus has been used to make the survival of Jesus seem less likely (Life of Flavius Josephus § 420-21). Josephus himself witnessed three crucified people taken down, and one survived. However, the passage says nothing about what wounds the victims received before being crucified (they were war captives, after all, not peacefully arrested criminals), nor does it say how long they were up, or how long they lived before finally giving in, only that they died while under the care of a physician. Of course, in antiquity, care by a physician, sometimes employing unsterilized needles and knives for surgery and suturing, and using unscientific folk remedies like hot baths or poisonous hellebore, could sometimes magnify rather than alleviate the chances of death, but more usually medicine at the time was sufficiently advanced for one to be better off with it than without it. At any rate, we are told by Josephus that one out of the three rescued lived. At worst, this calls for changing my estimate of surviving a few hours, after a mere beating beforehand, from 75% to 33%. I think the circumstances are too different (even though there is no doubt that if Jesus lived, he most likely did not live long--how long did Josephus' friends live?) and the data too limited: his two dying friends could merely have been unlucky, or longing for death from their crushed spirits, or they could have suffered war wounds beforehand, or they could have been up more than a day, etc. But I will grant it anyway, and say the basic odds of survival are 33%. Three of the gospel accounts of the crucifixion depict a sponge soaked in some liquid being pressed into Jesus' face, with Jesus expiring immediately thereafter (Matthew 27.48-50, Mark 15.36-37, John 19.29-30). We are told it was sour wine (oxos), which was often used to revive the swooning, yet Jesus expires immediately afterward, a suspicious reaction indeed. So the possibility of his being drugged is distinct. We cannot check what was really placed on the sponge, and we have no neutral account of the sponge-offering. Certainly, I will not bet my life that it was not a drug that was supplied, and his immediate and otherwise inexplicable death after receiving the sponge makes the chances of a drug greater still. What are the odds that Jesus was drugged into the mere appearance of death? Even though it is highly suspicious and no one can bring forward any evidence against the possibility, I will be overly skeptical of such a clever trick, and say that the odds are only 1%. It has been said that if one offers a secret plot to explain how this all happened, not only is it all conjecture (or worse), it must be based on a selectively inerrantist reading of the gospels. Both objections are misapplied. One must admit, conjecture or not, that a secret plot was possible, no matter how unlikely. All we need estimate is exactly how unlikely. Indeed, as we know from the elaborate frauds pulled off by Alexander of Abonuteichos recorded by Lucian, and the witches who drew down the moon by various schemes recorded by Hippolytus, fraud was evident in antiquity, and had it not been for the mere chance of these keen fellows happening upon them and bothering to root them out, we would never know anything about the fraud behind their schemes. Most observers were credulous, or didn't care to prove false what they already rejected out-of-hand (see Note 2). And it is in the nature of trickery for the evidence to be buried. All that remains is to see, based on what evidence supports that possibility, what the odds are it could have been done. The sponge event, for example, is very odd. So is the fact that Jesus was removed so early and treated so well. But added to this, the opportunities were rather great, as I will soon note: a day of no guards, a wealthy supporter, and being placed in that man's tomb by him. Thus, trickery is no blind conjecture. It is actually plausible, explaining some unusual elements of the received story, and made more probable by them. So the objections to trickery are already built in to my decision-theory analysis: despite my suspicions, I have decided to be generous and yield to the objectors, and that is why I give odds of only 1% that a trick was pulled. What odds do you give? As for this charge of "selective inerrantism", it is misapplied here. One can say as much about every work of history or fiction ever written. If I read Sol Yurick's The Warriors and note that his hero's use of a penny gum machine shows that gum only cost a penny when the book was written (1965), am I being "selectively inerrantist" simply because I acknowledge that this book is otherwise a work of fiction? And if I conclude from a study of available water supplies in Greece that Xerxes could not possibly have fielded as many men as Herodotus claims he did, but accept as true the rest of that historian's account of the Persian War, am I to be impugned for being "selectively inerrantist"? You decide. Many of my points depend on certain New Testament passages being historically accurate, without making any argument for their accuracy. Doesn't that, at least, weaken my argument? Not really. For we must face the Catch 22: if someone argues that the verses my theory is based on are false, then it becomes likely that the resurrection story itself is false. For if lies or errors exist in important details of the story, though this does not prove the story false, it throws greater doubt on that story being correct, not less. The probability of it not being a miracle is then even greater than I make it out to be. But I am deliberately giving the Christian argument a reasonable chance, by allowing at least some truth to the resurrection accounts, even though it is possible (albeit unlikely, in my opinion) that they are totally fabricated. Only when I can offer definite reasons for a passage to be regarded as false will I consider that possibility in this section. Otherwise, I will treat the accounts of the crucifixion as we have them as if they are true. Thus, I do address at several points in my essay the possibility that certain passages are false, like my discussion of how rejecting the Spearing Story affects the leg-breaking story. There I also make the point that if we reject that account entirely, then we also have no reason to think his legs were broken, since no other account remarks on this practice. The same holds true of my analysis of the spear wound's location: it has been rightly noted that John's description may not be accurate, but it then follows that we have no idea where the spear wound was, and thus we still cannot know whether the wound would have been fatal. In a similar fashion, if we reject any passage as false which I grant as true, then my argument becomes stronger as a result, not weaker. This is because, unless there is a contradictory passage already in existence (and those relevant cases I address, such as the varying accounts of Paul's "visitation" discussed in my General Case for Spiritual Resurrection), if we reject any given passage, then we are left with no basis for any assumptions at all, much less the assumption of a genuine resurrection. I ask all readers, if they think any particular passage being false creates a particular problem for my conclusion that the Resurrection was not a miracle from a god, to please point out the fact so that I may consider the matter and address it, or correct my conclusion accordingly. But I cannot answer general, unspecified objections. I must also note that it is completely improper to "invent" aspects of the story that support a Resurrection. For if someone is allowed to make up something that we are not in fact told in any of the accounts, we can just as easily make up something else that makes a Resurrection less likely, and nothing can be gained from such a game of make believe. We either trust what we are told, or admit we cannot trust it. Nothing more is rationally appropriate. And following this rule, we have a distinct possibility trickery was involved, yet I assign it a low probability of only 1%. I do not think anyone can argue the probability was any lower. It is still rather unlikely, I am told, that the original believers were making what they believed up for personal gain, in light of the persecution they suffered, and I have a lot to say about this, requiring a substantial digression. It is neither necessary to assume they made it up, nor is it certain that if they did they would be unwilling to die for some greater good that they saw in their creed. And if any original eyewitness did face death and recanted we might not have heard about it: Matthew's remark at 28.17 that some eyewitnesses didn't believe may be seen as a rhetorical defense against evidence of recanters. But most importantly, as I will argue in detail, most believers, and all whom we know died for their belief, were not eyewitnesses. This proves without a doubt that people were willing to die for something that they believed merely on someone else's word. And if they were willing to do that, might they not be willing to die for other equally feeble reasons? From kamikaze Japanese dive-bombers and torpedo-peddlers, Islamic suicide-bombers, to any of the dozens of suicide cults in history, or indeed the whole nation of Israel, twice fighting against an obviously unbeatable and demonstrably vindictive Rome, because of beliefs in prophecies of their victory, it is clear that people have a tendency to be willing to die for a seemingly good cause, even when their reasoning really isn't that good. It is important not to forget that, in actual fact, we have no reliable record of any eyewitness dying for their belief. The closest we have are brief mentions, like that of the execution of James the brother of John in Acts 12. But that is not an "account," containing few details about the circumstances of his death, or whether recanting would have saved him, or what it actually was he thought he was dying for. All real martyrdom accounts are of converts, not witnesses, except for that of Peter. But the account of his death is first found in the Gnostic Acts of Peter, a tale which includes, among other things, a talking dog, a flying wizard, and the resurrection of a tunafish. Moreover, the account is Gnostic and assumes, as in Peter's dying words in it, that the Resurrection was spiritual, not physical, a point I will be discussing in more detail in General Case for Spiritual Resurrection (and in my Main Argument). But most importantly, he would not have escaped death if he had recanted, for he was killed by a magistrate, as the story relates, whom he had angered with his political meddling, and not because he was a Christian. So his death does not prove that he was willing to maintain his faith despite being threatened with death if he didn't recant, because he wasn't. He was condemned no matter what his profession of faith, so his devotion proves nothing here. Let us also not forget that Paul himself, the one without whom there would have been no Christianity as we know it, was not an eye witness. And the first actual account of a martyr is that of Stephen (Acts 7.54-60). But Stephen was not recorded anywhere as being among the original disciples or among the witnesses of any appearance of Jesus: he is listed as being a very devout member of the later converts (Acts 6.5). One might say that as he is being set upon by a mob, he has a vision of Jesus sitting next to God in the sky, but this is clearly not a physical appearance: none of the mob or onlookers saw this, and the details are far from being that of a physical appearance. Moreover, if Jesus was alive and walking about at this time, surely he would be mentioned in Acts as still participating in the movement, but instead, he had already been taken up (Acts 1.9-11), and surely he would have stepped in front of Stephen and intervened if he were "there." Moreover, Stephen gives a speech, professing the belief for which he is killed and is willing to die, yet he does not mention the appearances of Jesus after death, nor the empty tomb, or anything like that. He merely professes that Jesus was the messiah, fulfilling Jewish anticipations, and that Jesus was unjustly killed. Indeed, he does not even claim that Jesus was God or the son of God. Stephen seems to be treating Jesus like all the other famous prophets who were killed, and whose deaths were regarded as a rebuke upon the wickedness of Jewish authorities who reject God's message. Stephen, and others in the early church, may thus have seen their victory in the belief and salvation of the believer, not in Jesus' resurrection. At any rate, Stephen was willing to die for a lot less than the claims of Jesus' appearances or even divinity (for more on this whole issue see my Main Argument). And it is not enough to say that Stephen "could" have been thinking of the resurrection when he died, because the point is that we have no evidence of any kind that he died for that reason, and therefore no basis for assuming that he did. If any of the eyewitnesses stood firm for the same reasons Stephen did, then we don't even need to explain why they would be willing to, since Stephen's reasons contain nothing miraculous in them. There is also the possibility that the early creed was of a spiritual resurrection, as I will discuss later. Of course, we must also consider the unlikely but still possible notion that the resurrection beliefs were produced by delusion or expectation or deception by untouchable parties. Joseph of Arimathea, or Jesus by himself, or with accomplices who went unnamed and unnoticed but aided him for money or for a sense of a greater good, could all have brought the event about without the disciples being any the wiser, as I discuss above and below. Such possibilities allow one to hold that there was never anything but sincere belief, and in such a case their very belief would actually cause them to disregard death (as is evident in all martyrdom tales, cf. also Acts 5.41). There is still the problem of the "original believers," those who would have been privy to any kind of deception or hyperbole (if we conclude that there was such). But history is replete with people willing to die for a seemingly greater good. Remember Jonestown. And do not forget the image, still burned in my brain, of the Buddhist monk setting himself on fire before the American embassy to protest the Viet Nam War. In antiquity we have the case of Proteus Peregrinus, and various suicidal Brahmen. I will eventually outline several reasons why the Christian creed, even if known to be in some sense a lie, would be believed to be a necessary change for the good of Israel, and there have been millions of revolutionaries in history willing to die for just such a cause. But I have been accepting an assumption here: that the original believers were actually willing to die. Yet by all accounts, they avoided violence by any means possible. Look at the adventures of Paul, for example, e.g. Acts 9.23-25, 29-30. And why did what happened to Stephen never happen to Peter or any eyewitness? Is it an accident that Peter recants precisely when he cannot protect himself from sudden retribution, but then reconverts when safe? And who else among the original cast could fall back on Roman citizenship for self-defense like Paul did? Even the one early account of Peter's death that we have, if true at all, claims that he was killed for political reasons, and not for his belief. If their story was in any sense a sham, the conspirators would actually seek to spread their message while guarding themselves. They could have easily maneuvered other followers into the path of violence (a deed no more unscrupulous than the possible murder of Ananias and Sapphira in Acts 5.1-11), or even left town when it suited them (see, for example, Acts 8.1)--and what are they doing in Tyre, begging Paul not to go back to Jerusalem in Acts 21.3-6? See also 22.18, etc. There is also the bigger problem that persecution could not possibly have been so serious as it is often painted to be. As both Suetonius and Tacitus show regarding the persecutions in Rome, it was unusual, and politically motivated by one or two events, and the onlookers were sympathetic. I must also add that we have no good evidence that there was any eyewitness in Rome--even if Paul was there, he was not a true eye witness. There is no other record in any history of any other persecution until that under Pliny in the 2nd century (apart from a poorly attested act of Domitian, equally sporadic and atypical). In Jerusalem, as far as we are told, there was also no unified opposition to the creed (Acts 5.33ff., 23.6ff. ), there was large enough support to actually instill fear in the persecutors (Acts 5.26, 4.21-22), no other source records any persecution in Jerusalem, not even Josephus (though he describes many riots and violent disputes), the legal powers of the Sanhedrin did not extend to any Greek quarter or city in the region (like Tyre), and Paul and the other persecutors merely put people in prison (Acts 5.17, 8.1-3), which was always, for whatever reason, easily escaped (Acts 5.19, 5.22). Moreover, no non-Jews would have cared, and there were whole cities of non-Jews in the Palestinian area, as well as Samaritans right between Galilee and Judaea, who also would not have cared. Acts even says there were often times of peace (Acts 2.47, 9.31). Surely the opposition must have been rather fickle, if it allowed this. But there are more direct questions we can ask: When Paul returns to Jerusalem, preaches the creed, and starts a riot, it is only he, and no one else in the church--who were clearly there (Acts 21.17ff.) --who is attacked or arrested. Why is that? And why do the reasons he is attacked have nothing to do with his profession of Christianity? (21.29, 21.38) Why does there have to be a conspiracy of foreigners to trump up a false charge and drag out false witnesses to get Stephen arrested? (6.8-14) And why does Paul only report that it was refusal of circumcision that caused persecution, not belief in the resurrection? (Galatians 6:12) On the other hand, how is it possible that a persecuted church can maintain its council of elders right in Jerusalem for years on end? They must have been very wily indeed. Why were they not all killed or arrested? Why is the only actual death we hear about in this persecution that of Stephen, which was an isolated riot, begun over what was actually a trumped-up misunderstanding of what the Christians were actually preaching (Acts 6.13-14), and not a reaction against what they actually believed? There is simply too much reason to doubt that the "persecution" of any eyewitnesses would have been serious enough to dissuade them from any plan that had enough merit to get them going in the first place. Above all, what evidence do we have that Jesus was dead? We are not told of doctors. Only one centurion gives his assessment. But officers in the Roman army have no training in diagnostics. They are among the least knowledgeable in medical theory, and they never seem to even touch him to examine him, except, by one account, at spear's length (John 19:34; and this probably did not happen, cf. Section VII). In fact, in the one account that gives any detail, the centurion who answers that he is dead when asked (Mark 15:44) actually seems to have arrived at that conclusion in a very unreliable way: "when the centurion standing just opposite him saw that he breathed out [his life] in such a way, he said 'Truly this was the son of God'" (Mark 15:39; some manuscripts have it "that by crying out in such a way he breathed out [his life]"). The past tense in the centurion's remark makes it clear that, as the story is told, the centurion already concluded Jesus was dead, having made no other observation than that he appeared to breathe his last. And when Pilate later raises a question about it, he does not go back to make sure or apply any other tests, but immediately affirms that Jesus is dead. And then no one touches Jesus but Joseph of Arimathea, who alone takes Jesus down from the cross (Mark 15:46; Luke 23:53). None of the other accounts mention anyone else taking him down first to get a better look at whether he was really dead (cf. Matt. 27:57-60; John 19:38). McDowell, citing Michael Green, also very strangely thinks that this hearing of Jesus cry out counts as proof he was dead (1st ed., p. 198; § 10.4A.1B.1C; 2nd ed., p. 223, § 9.6A.1B.1C). It is a good thing modern doctors do not announce someone's death on such evidence! McDowell cites Green and E.H. Day in the same place as asserting that the Roman soldiers at the crucifixion were "specialists" in assessing death, though that is a bit silly. Seeing people die does not make one a medical expert, nor does being an expert in killing people result in the discovery of how to check a pulse or touch the eye or apply any other technique that is necessary to reliably check someone for life who appears to be dead. After movies and TV educated the public, the idea of checking a pulse, for instance, has become common knowledge (and mass novels in the 19th century spread the word somewhat), but in antiquity only an elite few even knew of such a thing. So there is absolutely no reason to believe that common soldiers knew what a pulse was, much less how to check one--and certainly, we hear of no such detailed examination: the accounts we have explicitly deny it by asserting that Jesus was declared dead before he was even taken down. If we reject the accounts as false, we have nothing left to show that survival was less likely--we become completely ignorant of what really happened that day. Being mistaken for dead is not impossible. Ancient accounts of misdiagnosed deaths exist. Pliny the Elder, writing in the 60's and 70's AD, collects several of them in his Natural History (7.176-179): people who were deemed dead, observed as dead all through their funeral, and on the pyre, ready to be set aflame, but who walked away nonetheless (and since all Romans served in the army, one can see from this fact that arguments about the special skills of soldiers are moot). One account includes a wound that would seem almost certainly fatal (a cut throat, 7.176). Alexander the Great himself was impaled by a spear, which punctured one of his lungs, yet he recovered. Even modern accounts of misdiagnosed deaths exist, proving that even medical experts can be in error: as recently as 1989 in Springfield, Ohio (cf. St. Louis Post-Dispatch, Aug. 17, pg. 2A) and 1994 in San Leandro, California (Orlando Sentinel, Jan. 29, pg. A20). Indeed, before the 20th century this was more common than we would imagine, sometimes causing widespread hysteria (see Jan Bondeson's Buried Alive: The Terrifying History of Our Most Primal Fear, 2001). They say that there is a tomb on Lipara, one of the seven islands called the Isles of Aeolus, about which they tell many marvels . . . [including the story] that someone who got himself drunk before dawn fell asleep there. His servants searched for him for three whole days, and on the fourth they found him seemingly dead and carried him to his own tomb. After all the funeral rites were finished he suddenly rose and related what happened to him. The author doubts the story simply because it sounds more like a legend, but he admits it should be recorded, and it seems evident from Pliny that this was a common theme throughout the known world at the time--reflected in the similar legend told by Socrates according to Plato (Republic 614.b-c), and in that story the man in question actually journeyed into the afterlife and returned to talk about it (another story like this appears in Plutarch's Divine Vengeance 563d-567f, cf. also On the Sign of Socrates 590a-592e). This no doubt reflects the fact that such misdiagnoses were commonplace enough that several authors had heard at least one such story (e.g. Apuleius Florida 19; Philostratus Life of Apollonius of Tyana 4.45; Aulus Cornelius Celsus On Medicine 2.6.15; Pliny Natural History 26.15; Diogenes Laertius, 8.67-8; compare 1 Kings 17:17-22, 2 Kings 4:19-37, Mark 5:21-43 [Matt. 9:18-26, Luke 8:40-56], Luke 7:11-17, Acts 9:36-43 & 14:19-20, John 11:5-44; etc. ), and it had even entered mythic consciousness: several related stories involve bright lights or experiences in heaven before returning, possibly reflecting Near Death Experiences. See Susan Blackmore's book on the subject in modern times, Dying to Live; ancient examples include Cicero's Dream of Scipio and stories related in the Philopseudes of Lucian (esp. ch. 26), and the Dionysian mystery tablets recovered from graves (Miroslav Marcovich, "The Gold Leaf From Hipponion," Zeitschrift fur Papyrologie und Epigraphik, bd. 23, 1976, pp. 221-4). Most interesting of all is an ancient Jewish document called the Tractate of Mourning (Semahot), which describes the very reasons for the tradition of going to the tomb on the third day (counting inclusively--thus, the second day after burial, by our reckoning): "One should go to the cemetery to check the dead within three days, and not fear that such smacks of pagan practices. There was actually one buried man who was visited after three days and lived for twenty-five more years and had sons, and died afterward" (8.1, translation by Shmuel Safrai, "Home and Family," The Jewish People in the First Century (1976), vol. 2, pp. 784-5). In other words, misdiagnosis was actually common enough that an entire tradition was developed to make sure people were not buried by mistake--the very tradition which probably lay behind Mary's visit to the tomb of Jesus in the first place! The Romans also delayed funerals for the very same reason (reported by Ps.-Quintilian, as discussed by D.R. Shackleton Bailey in Historical Studies in the Physical Sciences 88 (1984), pp. 113-37). Moreover, Celsus, a medical encyclopedist of the 1st century, estimated that even the best doctors erred in misdiagnosing death roughly 1 in 1000 times (De Medicina 1.109-17), a sentiment corroborated by Pliny (NH 2.619-31). Worse doctors, and non-doctors, must then have erred far more often still. All this evidence does not mean that this mistake happened often--it was certainly still a rare event--but it happened. What are the odds that Jesus was misdiagnosed as dead? As it is, we must grant at least a 0.1% chance that the centurion mistook him for dead, and that is granting him an excellent diagnostic skill (according to Celsus, the best of the day), especially to assess this at a distance as the story says he did. If Jesus was drugged, this chance would certainly have to rise to at least a 50% chance, for how would a centurion know anything of the possible effects of drugs, much less that they had been administered? As far as he knew, the sponge was soaked in vinegar. Since I give the odds of being drugged at 1%, we can assess the total chance of misdiagnosis at (0.01 x 0.50) + (0.99 x 0.001) = 0.00599 = 0.6%. With a basic chance of survival of 33%, this makes a chance of actual survival, misdiagnosed as death, of 0.2% (0.33 x 0.00599 = 0.0019767). Though McDowell cites Samuel Chandler arguing that the absurdly excessive anointing of the body recorded in John (19:39) would surely have exposed Jesus as alive if he were (1st ed., pp. 199-200, § 10.4A.1B.1C), this can be dismissed for two reasons: these were sympathizers, and thus could easily have concealed the fact if they knew Jesus were alive; and this burial anointing almost certainly didn't even happen (see below). We also have accounts of survival despite incredible injuries. Josephus watched one of three particular victims of crucifixion survive (Life of Flavius Josephus § 420-21), and John's implication that the legs of the crucified were broken to hasten death entails that survival was common enough to require such an extraordinary measure (cf. Section VII). A few doctors have tried to assert that death by crucifixion was certain, by appealing to graphic analyses of the speculated procedures and effects of execution in antiquity (see Doctors Pronounce Jesus Dead! for my analysis of a prominent and typical example of this literature), but even the best of these analyses produce insufficient certainty, and are refuted by the eye-witness observation of Josephus that crucified people could survive. There is no doubt that crucifixion was hideously painful and meant to kill--but slowly, and the survival of a passionate, possibly even drugged, fanatic, after only a few hours on the cross, is distinctly possible. Indeed, people have survived far worse. The Coast Guard WWII hero Douglas Munro was impaled a dozen times by Japanese rifle bullets, yet continued to drive his landing boat, dying only after completing his mission--receiving the Medal of Honor posthumously. So even when very unlikely, survival is demonstrably possible. And complete recovery need not be assumed. Jesus had no known ministry after his death, wrote nothing, and commissioned no inscriptions, despite having wealthy benefactors who could have arranged it (although it is still strange, even if he actually was resurrected, that such things were not commissioned). In my opinion, he certainly must have died soon after his ordeal (unless he secretly secured medical attention), but this does not entail that his survival could not have been mistaken, or preached, as a resurrection (cf. Section XI). It can happen after surviving such ordeals that a sudden but temporary upswing in health precedes eventual downturn and death. In the National Library of Medicine MEDLINE database, record no. 68403724, such an account is recorded: a terrorist bomb threw so many fragments into the brain of Assaf Ben-Or that surgery was ruled out as impossible without killing him. His brain was bleeding heavily internally and the doctors could do nothing about it. A week later, he was listed in good condition and was talking and walking. He then died shortly thereafter. Certainly, passion, religious fanaticism or drugs can improve chances of such a temporary upswing: it is not impossible, and not even remarkably unlikely. The possibility of such a thing cannot be dismissed in the case of Jesus, who was far less injured than Assaf Ben-Or, and who had no cut throat, no impaled lung as far as we know, no dozen rifle wounds. So survival is certainly more likely in the case of Jesus than that of Assaf or any of these other survivors. McDowell cites the absurdly quaint pseudo-medical observations of Bishop LeCamus against survival, asserting the most ridiculous causes of death: "contact of the body with the cold stone of the sepulchre," never mind that he was wrapped in linen, "would have been enough to bring on syncope through the congelation of the blood, owing to the fact that the regular circulation was already checked" (1st ed., p. 200; § 10.4A.1B.1C). From this farcical medical terminology one would think LeCamus a believer in warts caused by toads. It hardly deserves comment. Nor does the claim that the tomb was "hermetically sealed." One wonders what sort of space age technology the Jews were supposed to have--at any rate, the Tractate cited above proves that survival over several days was so possible that a ritual visit had to be established to rescue those buried alive. We also know from surviving examples that tomb stones were placed loosely enough that air could circulate. It is also absurd to suppose that a "stench" of spices would be lethal to an injured man--indeed, McDowell contradicts himself here, citing the smell of spices as a cause of death right after he cited that same smell as what would have been a certain cause of his revival! It is also unlikely spices were even present. Their quantity is ridiculously exaggerated in John, the only one to mention them (19:38-40). In contrast, Mark, the earliest and least fantastic source, leaves no one time to anoint the body (15:42, 16:1), Luke concurs with this, saying that the spices had to be prepared later for application Sunday (23:53-6), and Matthew, like all of them, mentions only a cloth. So John's lie is exposed by the universal disagreement of his colleagues. Indeed, packing bodies in spices was not a Jewish practice, contrary to John's assertion that it was--instead, it was Egyptian, and the mention of spices here may be an invention meant to link the burial of Jesus with that of Israel (Jacob) and Joseph (Genesis 50:2, 50:26). To the contrary, Jews washed corpses and wrapped them in a clean cloth. But even supposing such an odd burial, a packing of a mere hundred pounds of spices would not do much to kill anyone. Imagine spreading 100 pounds of mud over your whole body--the hazard would be minimal, especially for a prone person, and would have the beneficial effect of providing warmth to counter-act systemic shock, and pressure against blood loss. Perhaps we could insist they mashed the stuff into his face, but we are not told they did, and the Jewish law I cited above would presuppose against it. So we can dismiss all far fetched objections like these. They are speculations upon speculations, often contradicted by the actual evidence. And without evidence, the possibility of survival remains, regardless of the number of speculations you wish to heap up. The fact of the matter is that we know far too little about the actual details of crucifixion, making even the opinions of physiological experts all but irrelevant to the case. One must first do the work of a historian before such opinions can relate to the actual facts of crucifixion, but even the most capable historians have not been able to establish the details that physiologists need to know for their opinions to be relevant. And this general reality is only compounded by the fact that the Gospel narratives are not very reliable for eyewitness details, not having been written by eyewitnesses, and having theological and soteriological reasons for adding the details they do (e.g. Section VII). For what little we know or can conjecture, see "Crucifixion in Antiquity" by Joe Zias. Zias presents the best lay summary I've seen so far (though one of his diagrams misleads in giving the impression that a cross was a cross--what little evidence we have is unanimous in one respect: the "cross" was actually a flat T-shape). All these considerations make it clear that no one can argue that the odds of misdiagnosis were less than 0.6% (0.00599), making the odds of survival-plus-misdiagnosis 0.2% (0.0019767). VI. How Could He Get Out of the Tomb? Some argue that we have to account for the odds Jesus could get out of the tomb. I conclude that the odds are effectively 100%, if he survived, that he could move a tombstone given a day of trying, and so this does not have to be accounted for. But if it must affect your own analysis, let it affect how you estimate the odds that Jesus could escape (Section IX). Tomb blocking stones in 1st-century Judaea were quite small. We know of no stones larger than 4.5 ft. in height, and that only on the tomb of king Herod's family. Most are typically between three and four feet. The one shown above is under 4' x 3' x 2', and all are made of limestone, which would make this one about a ton in weight--too heavy to lift, but not too heavy to push over (for comparison, consider how easy it is for one person to rock a car--the average automobile weighs at least a ton). It was easy to open a tomb from the inside: all one had to do was shove, and the stone would fall away under its own weight. The Gospels of Mark and Matthew even describe a single elderly man rolling the stone into place (Mk. 15:46, Mt. 27:60), so if we believe them, the stone in question could not have been too hard to manage, even if in a fit of dramatic exaggeration it is later described as "very large" (whatever that means: Mk. 16:4). Indeed, there would have been a difference between carefully moving the stone such that it could be placed back over the tomb--a task that might have required many men--and simply pushing it over, which a single man could accomplish, even as the task of putting the stone back would be much more difficult. In all likelihood however, based on the use of the word "roll" throughout the narratives, the actual stone that the Gospel writers had in mind was the thin, round type which fell into use after the Jewish War, long after the time of Jesus. This was lighter and very easy for one person to move by rolling it on its edge. See my discussion of "new evidence" in my review of In Defense of Miracles. McDowell cites T.J. Thorburn calling on a curious reading in the margins of the Codex Bezae manuscript of Mark that the tomb cover-stone was so large that even twenty men could not roll it away (1st ed., p. 208; § 10.4A.1B.4C). Of course, this is immensely improbable, as already noted above, and would not relate to whether the stone could be merely pushed over, but only to the task of carefully moving it. Even so, the argument McDowell makes that this spurious reading (and a gloss at that, not even incorporated into the text itself) from a late, 4th century manuscript, found in no other versions or translations, is somehow closer to the original, is so groundless it is astonishing he would even advance it. On the true nature of textual criticism, see the material in my Critique of Douglas Wilson, and on the more realistic fate of manuscript interpolations, see the relevant parts of my discussion of Thallus and Phlegon. This particular gloss is too much like a story in Josephus to be genuine. Josephus wrote an account of the miracles related to the great Temple in Jerusalem that immediately presaged the doom of Judaea in 66 A.D., among them was a bronze gate, which scarcely twenty men could move, that unbolted, unlocked and opened itself at midnight right in front of the temple guards (Jewish War 6.288). Here we have a story with an identical number of men mentioned with almost identical phrases (scarcely twenty men could move it, not twenty men could roll it away), in similar contexts (the tomb is being compared with the temple, and a bad omen for the Jews is made into a good omen for Christians). Josephus reports of his account that the common people thought "God did thereby open the gate of happiness," while the learned took it as signifying that "the security of their holy house was dissolved of its own accord, and that the gate was opened for the advantage of their enemies." To transfer this legend to the tomb of Christ therefore makes too much sense to be a coincidence: the moving of this stone did, like the moving of the doors of the temple, presage the opening of the gate of happiness for the people, as well as the looming destruction of the temple of the Jews (also symbolized in all manuscripts of Mark by the rending of the temple veil). The story is thus almost certainly a symbolic invention by a later scribe seeking to embellish the story. Considering this, and the implausibility of so large a tomb stone for anyone in Palestine, in addition to the fact of its late appearance as a gloss in a single manuscript, this account is to be dismissed. VII. What Are the Odds That Jesus Was Speared? Though he must have had at least a 33% chance of not having died on the cross, John records a spear wound. It has been said that the description of the wound pouring out blood and water (19:34) suggests a mortal wound, being a blow near the heart (McDowell, citing James Thompson, E.H. Day, and William Stroud: 1st ed., p. 198, § 10.4A.1B.1C; 2nd ed., pp. 223-5, § 9.6A.1B.1C). Of course, this is probably an invention--there was a belief that the messiah came "with water and blood" (1 John 5:6-8), representing baptism and death. Consequently, several church fathers (Ambrose, Augustin, and Chrysostom in particular) understood this spearing passage symbolically, not literally: the blood represented the eucharist; the water, baptism. Perhaps also this referred to the Jewish tradition of the time that the rock in the wilderness that Moses smote twice "poured out blood at the first stroke, and water at the second" (Shemoth Rabba, folio 122), the sign of God's grace and the gift of life (and Christ was understood by Paul as representing this rock: 1 Cor. 10:4). Moreover, John is alone in having Jesus perform a transmutation of water to wine (at Cana, 2:1ff. ), and this is unlikely to be coincidence. The same symbolism is no doubt intended there. Thus, the wound thus testified to the fact that this was the messiah, and it could therefore be an invention for that purpose. John himself already reports a scriptural reason to invent the spearing (19:37), and makes suspiciously excessive assertions of its truth (19:35). But even supposing this wound to be genuine, anyone who knows anything about anatomy will agree that the only place in the body where a noticeable amount of water or any clear liquid would ever be visible, along with blood, to a medically ignorant soldier a spear's length away, is the large intestine (and even then only abnormally, e.g. diarrhea), suggesting a wound that is unlikely to be fatal until many days later. I conclude this after consulting several real doctors, contrary to McDowell's citation of Michael Green (1st ed., p. 199, § 10.4A.1B.1C; 2nd ed., p. 225, § 9.6A.1B.1C), since we do not know that the blood did not spurt (the description is too brief and vague for such claims), and blood pouring from a vein does not spurt in any case--only that from an artery does. Moreover, the effect of a flow of distinctly separated serum and clotted blood, visible to a distant layman, is exceedingly unlikely. Unabsorbed water from the large intestine is far more likely in such a case, and even that would only occur if Jesus were suffering from some sort of medical condition that would cause an abnormal accumulation of water there. One might imagine a blow to a full bladder as having the same visible effect, but there are two reasons to discount this: struck from below, the bladder is well-guarded behind one of the thickest bones in the human body and thus is unlikely even to be targeted by a soldier, much less actually pierced from that angle, and it is inconceivable that a man who endured hours of beatings and crucifixion would be able to hold his water throughout. Munro and Assaf and those other amazing survivals mentioned earlier (Section V) probably occur, let's say, no more than 1 in 1000 times, but a spear wound to the large intestine, though likely to kill in time, is nothing compared to the wounds these people temporarily survived. I must say the odds of surviving such a wound for up to a week must be at least 10%. Throw in the chances of surviving a partial day of crucifixion (33%), and we get a chance of survival, with the spear wound, of 0.33 x 0.10 = 3.3%. With misdiagnosis as well, we get a final chance of 0.00599 x 0.033 = 0.00019767 (roughly 1 in 5000). But the account of his being speared is illogical and late. It appears only in John, the last of the gospels to be written (after 90 AD). There, soldiers decide not to break his legs because he is dead, and then spear him to make sure he is dead. This is contradictory and inexplicable behavior. The spear wound later comes up in the context of the doubting Thomas story, which also only appears in John. As a late insertion in the story, it looks an awful lot like a rhetorical "vicarious conversion" aimed at answering arguments of skeptics, and being late this is to be expected: such doubts had certainly been voiced by then, and John would have liked to answer them (see also Main Argument). Thus John has as much a motive to invent the spear wound as he has to invent the entire Thomas story, which, after all, is found in no other account, not even in the writings of Paul. All three facts create great doubt that Jesus was stabbed with a spear. This makes survival even more likely. The odds that the spear story is false, based on the fact that three earlier accounts fail to mention it, that John has several rhetorical reasons to invent it, and the account of it does not make sense, I think must be at least 75%. This gives us a 75% chance that the odds of survival and misdiagnosis are 0.0019767 and a 25% chance that they are 0.00019767, for a combined chance of (0.75 x 0.0019767) + (0.25 x 0.00019767) = 0.0015319425 (0.15%). One might argue that the "not breaking his legs" account must be dropped if we drop the spearing account. In fact, some argue that John felt the need to claim that Christ's bones were not broken in support of prophecy, as is stated explicitly in John 19:36, and many commentators find a connection with the passover-prohibition on bone-breaking, based on Exodus 12.46 and Numbers 9.12, and John's other predilections for such an analogy. Of course, the same passover rule also prohibits taking the flesh outside the house, which doesn't fit here, and John's words are also taken directly from Psalm 34:20, a passage which discusses righteous men in general, and has no overt connection with the messiah or crucifixion or anyone's death. Still, John alone has Jesus buried in the same place he is crucified (19:41), which could be meant as fulfilling the prophecy that the bones never left their house. So there are good reasons for John to invent the whole leg-breaking story to justify his passover lamb analogy (maybe even drawing on a real practice: see Note 3). But even if John invented the story of the leg-breaking, we are still left with no reason to think Jesus' legs were broken, and if the leg-breaking story is true, John still tells us Jesus' legs weren't broken, and no other gospel claims otherwise. The spearing also has a scriptural reason to be invented or mentioned. Since it is taken from an actual messianic passage in Zechariah 12, it could reasonably be expected to be about the messiah and thus anyone in John's position might assume it ought to apply to Jesus, or they would want it to apply, to "prove" Jesus was the messiah. But that passage also mentions other things, like the blinding of the world's horses, and the besieging of Jerusalem at the same time as the coming of the messiah, which John omits. Thus, he is borrowing only what he wants to use. Our question is thus "why?" The use of the wound to have the symbolism of blood and water and to dramatize the Doubting Thomas story give the most obvious reasons, as I note above. It is also possible that in this or even also the leg-breaking account John may have needed a scriptural passage to justify what really happened. But this is less likely given: (1) the illogic of spearing him after leaving his legs alone, (2) the fact that it dovetails with the already-suspicious Doubting Thomas story and allows the symbolic introduction of blood and water, and (3) it is not mentioned by anyone else, including the three earlier evangelists. So the conclusion stands so far that the odds of survival and misdiagnosis are (0.75 x 0.0019767) + (0.25 x 0.00019767) = 0.001532 (0.15%). But what about the guards? 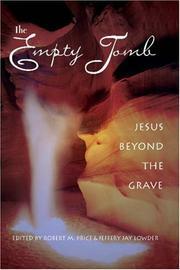 Doesn't the fact that the tomb was guarded make escape unlikely, even if Jesus survived? Although one gospel accuses the Jews of making up the theft story, it is only that same gospel, after all, which mentions a guard on the tomb, and the authors have the same motive to make that up as the Jews would have had to make up the theft story: by inventing guards on the tomb the authors create a rhetorical means of putting the theft story into question, especially for the majority of converts who did not live in Palestine. And it is most suspicious that the other gospel accounts omit any mention of a guard, even when Mary visits the tomb (compare Matthew 28:1-15 with Mark 16:1-8, Luke 24:1-12, and John 20:1-9), and also do not mention the theft story--this claim is not even reported in Acts, where a lot of hostile Jewish attacks on the church are recorded, yet somehow this one fails to be mentioned. Neither Peter nor Paul mention either fact, either, even though their letters predate the gospels by decades. Worse, Matthew's account involves reporting privileged conversations between priests and Pilate, and then secret ones between priests and guards that no Christian could have known about (27.62-65, 28.11-15). This is always a very suspicious sign of fiction. Such a story could very easily be a Christian invention. They had the motive to make it up, to answer the objections of later skeptics (just like the Thomas story in John), and the story looks like an invention, because it narrates events that could not be known by the author. How would this story develop? If a doubter had claimed that the Christians "could have" stolen the body, and someone overheard this charge and, in the manner of all rumors which get altered in transmission, thought that they heard the body was stolen and then accused the Christians of theft, the Christians could have responded that "the Jews said that, to thwart us" (as Matthew says, "this story is spread around among Jews to the present day," 28.15). This would be quite plausible, since the story does portray the Jews as having a motive to torpedo the cause. One can easily imagine the skeptics answering back that if the Jews really feared theft, they would have guarded the tomb. This skeptical charge would then inspire the addition of guards, which would also require a story of bribery to explain why there are no guards around who could vouch for the resurrection, as well as the invention of an earthquake and angelic intervention to explain why the guards would not interfere with Mary, since, now that he has placed guards on the scene, Matthew has to invent some bizarre reason for their cowering before a woman, a strange story appearing in no other accounts of Mary's visit to the tomb. It seems, then, that a lie might have been getting larger and more implausible, in a desperate attempt to make it more plausible, a fate that has befallen many a tall story. This fits with the fact that Matthew is the most prone to recording implausibilities: cf. the earthquake, recorded nowhere else, even though it split rocks, cf. 27.51; the zombies, 27.52-53; not to forget the fable concerning Herod and the killing of the babies, cf. 2.16, a story told of kings and great men for centuries before and after Jesus, and yet not mentioned by anyone else in this case, not even by other New Testament authors (especially Luke, who dates the birth of Jesus ten years after Herod died! cf. 2:1-3, and my essay on Luke and Quirinius), and not even by Josephus, who mentions many other atrocities of Herod. So we have good grounds to suspect the story of guards to be fiction. McDowell makes too much of the claim there were guards, and ironically gave me a crucial piece of information that makes the guard-story even more likely an invention: an important achievement of the Matthew story is the placing of the seal on the stone covering the tomb. In fact, one can view the entire story as being a pretext for this single act. Why is this event so important? Because it converts the tomb of Jesus into the lion's den of Daniel: for when Daniel was entombed with the lions, and thus faced certain death, King Darius placed a seal on the stone "so that nothing might be changed in regard to Daniel" (Daniel 6:17; I thank McDowell's quotation of D.D. Whedon for this find, 1st ed., p. 209, § 4A.1B.5C), exactly the same purpose of the Jews in Matthew. Thus, Jesus, facing real death, and sealed in the den like Daniel, would, like Daniel, escape death by divine miracle, defying the seals of man. The parallels here are far too dense to be accidental: like the women who visit the tomb of Jesus, the king visits the tomb of Daniel at the break of dawn (6:19); the escape of Jesus signified eternal life, and Daniel at the same dramatic moment wished the king with eternal life (6:21; the identical phrase appears in reference to God in 6:26); in both stories, an angel performs the key miracle (Matt. 28:2, Daniel 6:22); after this miracle, the guards become "like dead men," just as Daniel's accusers are thrown to the lions and killed (6:24). Matthew alone among the Gospels ends his story with a commission from Jesus (28:18-20), whose power extends "in heaven and on earth," to "go and make disciples of all nations" and teach them to observe the Lord's commands, for Jesus is with them "always." Curious, then, that the same author who alone creates a parallel with Daniel, is also alone in borrowing language from the same story for this commission: for King Darius, after the rescue of Daniel, sends forth a decree "to all nations" commanding reverence for God, who lives and reigns "always," with power "in heaven and on earth" (Daniel 6:25-28; the Greek phrase is identical in both cases: en ouranôi kai epi tês gês). The stories thus have nearly identical endings. In both texts (Matthew and the Septuagint text of Daniel) the stories have in their beginning the verb "to seal" (sphragizô), and in their endings the noun "eon" (aiôn, Daniel says "Oh king, live through all ages," Darius decrees "He is the living God through all ages," Jesus says "I am with you through all days until the end of the age"). Furthermore, in earliest Christian art, Daniel was the hero with whom Jesus was most commonly equated (cf. Thomas Matthews, The Clash of the Gods, 1993, pp. 77ff. ), and Matthew alone depicts Magi visiting Christ at birth, whereas in the whole of the Old Testament the actual term "Magi" only appears in Daniel--for Daniel was most commonly associated with miracle working in the East. Since Matthew is clearly creating the guard story to create a seal and thus link Jesus with Daniel in death as in birth, the story is even less likely genuine than I grant above (see Note 4). The guard-placing account also involves the Sanhedrin both holding a meeting and placing a seal on a tombstone on the Sabbath, which is strictly prohibited by Jewish law. Thus, Matthew shows them violating the Sabbath to work against the good, after having shown them attacking Jesus for violating the Sabbath to do good (12:1-14). So Matthew may be deliberately crafting a story to create a symbolic contrast, another reason we cannot be sure it is true. An additional reason to reject Matthew's story is that it contradicts all other accounts and is illogical: if the tomb was sealed until the angel came and moved the stone before the women and the guards, how did Jesus leave the tomb undetected? Did he teleport? For he wasn't in the tomb: it was already empty. Even if we want to imagine that he did teleport, all the other Gospels record that the stone had already been moved when the women arrived (Mark 16:4, Luke 24:2, John 20:1). Thus, Matthew's account is contradicted three times, even by an earlier source (Mark), and does not make a lot of sense. That is further grounds for rejecting it: for Matthew alone must have the angel open the tomb when the women are present in order to silence the guards that he alone has put there. Thus, if his account of the opening is false, the reason for that account--the guards--is likely also false. So what do I think are the odds that the guard story is an invention? Considering all the evidence above that it is a fabrication, the chance it's true cannot be better than 1 in 3 (33%). At best, neither the story of an accusation of theft nor that of guards is more likely to be true than the other. But even if we assume a guard, the gospel also depicts these guards as accepting a bribe to lie about theft, and thus it follows that the guards would be just as likely to accept a bribe to allow Jesus to escape. Indeed, they would probably have no qualms about accepting both bribes, being twice the richer for it. And since Jesus was placed in the tomb of his rich and influential supporter, Joseph of Arimathea, there is a strong possibility of bribery. McDowell suggests that Roman legionaries were immune to bribery, out of loyalty to Rome, superhuman discipline, or fear of horrible punishment, even though this contradicts everything we know about human nature, and no one has yet offered any evidence that it was even rare among the legions. Since they were tried by juries comprised of their fellow soldiers, it was sometimes easy to escape punishment--a serious social problem mentioned more than once in surviving sources. Moreover, Matthew's entire story must be false unless they did take bribes. But this question is actually moot, for if there were guards at all, it is almost impossible they would be legionaries. McDowell cites Albert Roper claiming that they were and that we know the name of the centurion in charge--but that, and all other details like the number of men and the use of an Imperial Roman Seal, do not exist in the New Testament and are very late legends or the imaginative inventions of scholars (1st ed., p. 210, § 4A.1B.6C.1D; 2nd ed., p. 235, § 9.6A.1B.6C.1D). Pilate would not care that much about petty religious squabbles among the natives, nor about the fate of a body of a foreign criminal that he already released to the dead man's followers. Pilate's trial behavior makes his disinterest clear even in the Christian sources, but it is even greater than they make out, as any perusal of Josephus would show. Thus, if Pilate provided a guard at all, it would have been, at best, an auxiliary--a non-citizen soldier. But even more likely, it would have been the local militia--not necessarily the temple guards, but city watchmen, or simply picked men, who were under the command of the local city councils, and who were often slaves or freedmen. The story, as it is told to us, actually supports this. First of all, the Greek says the Jews only tell Pilate "order the tomb to be secured" (keleuson oun asphalisthênai ton taphon, Matt. 27:64), which permits but does not entail providing a guard, for it could also mean only allowing one to be set. Pilate responds "you have a guard" or "have a guard" (echete koustôdian, 27.65), and the verb here may be indicative or imperative: the former actually denies that he meant them to take one of his men, and the latter only allows but does not entail this. But then he tells them to make the tomb secure as they know how (i.e. he does not give these orders to the guards, but the Jews), and then the Jews themselves "secure the tomb with the guard" (êsphalisanto ton taphon...meta tês koustôdias, 27.66), and they, not the guard, place the seal (therefore it could not have been a Roman seal). In other words, the passage as written does not entail sending a guard, but more likely means allowing the Jews to arrange their own guard. They had temple guards of their own, or could have simply appointed anyone to the task. As members of the city council, that was their job. This interpretation has further support in Matthew: when legionaries or Pilate's men are meant, this author usually says so (cf. Matt. 27.27, 27.54), and the word for "guard" used by Pilate (koustôdia) does not mean an actual person (that would be koustos) but the general idea of "a guarding." So when Matthew describes Pilate as saying "have a guard" he means "set a watch," not "take some guards." Moreover, Matthew 28:11-15 reports that these guards go immediately to the Jews after the discovery of a missing body, not to Pilate or any superior officer, yet this would be even stranger behavior for a Roman soldier than accepting bribes. That the Jews promise to keep Pilate from punishing them offers no proof that they were Roman, since the governor could punish anyone tasked with failing to prevent a theft, and it would be strange for Jews to claim influence over a Roman military court unless legionaries, who formed the jury, could be bribed after all. For Roman legionaries were citizens and thus had the right to a trial, and in the military trial juries were comprised of fellow legionaries--who, by the way, would have no interest in condemning their comrades to death for what was nothing more than a disgrace to mere Jews. There was no death penalty for being overpowered while standing watch anyway. The guards, after all, did not abandon their watch but were overcome by superior force--and if Pilate would not have believed the supernatural truth, a suitable lie about armed men would have sufficed. But even this is moot. Whether legionary or auxiliary, Roman or Jew, we have ample grounds for believing a bribery possible. But even if we exclude bribery, there are other ways in which the guards would be ineffective. We do not know the configuration of the tomb site, yet we know it belonged to a wealthy supporter, and that the body was placed in the tomb by that supporter, and that the disappearance occurred on a high holy day, when, due to religious laws and observances, the fewest potential witnesses would be about. The possibility of covert escape, given these facts, is great indeed. There is also the possibility of a switcheroo: the body could have been taken to another tomb than the one claimed, and thus the guards could have been guarding an empty grave all along. And it cannot be forgotten that there is no account given of why the Jews would know where the tomb was. If they had been told which tomb he was buried in, a different tomb could have been deliberately pointed out, or the body already removed. This is especially important, because we have no record of Jews or guards looking in the tomb to make sure a body was there before closing it up. Matthew only says that they put a seal on a tomb which had already been closed by Joseph (27.66). So we must admit that the actual body could have been taken anywhere from the start, especially since it was "taken" by a wealthy supporter, who could buy anyone's silence or complicity. The mere fact that Pilate allowed him to take the body shows that Joseph had an awesome degree of influence: that he was a rich and influential member of the elite, and a Christian convert, is claimed by the gospels themselves (cf. Matt. 27.57, Mk. 15.43, Luke 23.50-51, John 19.38). Most importantly, no guards or suspicions of mischief were raised until a day later (27.62-63). This means that Joseph had carte blanche with the body. Matthew 27.57-61 records that Joseph was given the body directly, and sealed the tomb himself. The only ones recorded as being with him are the two women, also supporters of the movement. So even if the accusation of theft, even if the guards, are genuine events, as Matthew himself writes the guards were only requested a day later. By then the body could already have been stolen, Jesus could already have escaped, or never even been in the supposed tomb when guards were finally posted on watch. As one can see, these factors make the chance of Jesus escaping detection rather great. What do I think the odds are that Jesus escaped detection, given the fact that he had at least a full day with no one guarding him? I will say the odds cannot possibly be lower than 1 in 5 (20%). The chance that he did in fact have a full day to himself and his supporters? Based on the account as given by the Christians themselves, at least 80%. And if we include the odds that the guard story is an invention, and thus that there were no guards at all, there is an additional 33% chance that Jesus had a day or more to himself. What about the chance that guards were immediately posted, yet that Jesus, having survived, still escaped detection by some means like a hole in the tomb or a switcheroo or bribery? I will give this a mere 1% chance. We end up with a 33% chance of a 20% chance of escape, and a 67% chance that the odds of escaping are roughly 33%, based on an 80% chance it was 20% vs. a 20% chance it was only 1%, or (.8 x .2) + (.2 x .01) = 0.162. This makes for a total chance of escape equal to (0.33 x 0.2) + (0.67 x 0.162) = 17% (0.17454). The combined odds of survival, misdiagnosis, and escape are thus, in my opinion, 0.0002674 (roughly 1 in 4000; see equation below). That means that given what we know about this event, as calculated so far, I must believe there is at least 1 chance in 4000 that nothing miraculous occurred, since even survival is as likely as that. However, another important factor (the chance a resurrection claim would be believed after a mere survival: explained next in Section XI) pulls these odds down to 0.000147363, or 0.015%--roughly 1 chance in 6800. So we will conclude with that. Am I being too liberal? I doubt it. In every case I have estimated odds even lower than are probably correct, and as low as I think any reasonable person could honestly set them. But cut the final odds in half, quarter them, even cut them to a tenth that figure, and we still have odds that are too great to rule out. Even if there were only 1 chance in 68,000 of survival accounting for the evidence, that would still be good enough a chance to discount any miraculous explanation. For who needs to resort to "miracles" to account for what can occur even once in 68,000 times under the same conditions? It is amazing, truly, but not impossible--as we began, we noted that even an event that occurs only once in 100 million lives is still not miraculous. You might as well use a royal flush in a local poker game as proof of God's divine might. Royal flushes and resurrections are two separate things, so comparing them directly would be a false analogy. But I do not mean to compare the events. I compare only the odds of either event being natural rather than miraculous. If survival in all the same circumstances (as far as we can know them) by natural means can happen once in 68,000 tries, yet the odds of a royal flush happening naturally are roughly 1 in 650,000 (see Royal Flush Odds), and we know royal flushes happen without being regarded as miracles, why should we regard something that is over four thousand times more likely as miraculous? Even if we try to argue that more poker hands have been dealt than people have died, we still don't escape the fact that this comparison is merely an illustration. For even if only one hand of poker were ever dealt in history, and it was a royal flush, we would still be unjustified in calling it a miracle. In fact, it would hardly occur to us to make such a claim. We would merely say "Wow! What a coincidence!" Thus, no matter what you argue, an event that can happen 1 in 68,000 times is still not rare enough to regard as a miracle. That it has not happened more often is due to the fact that the same circumstances have not presented themselves, just as they have not generated another Winston Churchill. Indeed, I will say that the odds of an eclipse meeting the Battle of Pydna were astronomical--pardon the pun. Yet it happened. Do we need a miracle to explain it, simply because it was so amazing a coincidence? A 1 in 68,000 chance of survival is vastly more likely to see out than the event at Pydna, and yet every reasonable consideration leads us to a hugely more achievable 1 in 6800 chance of survival. Thus, we cannot seek an explanation in miracle. We simply have no grounds. We would have something to argue with if we could state how often miracles happen. If we knew 1 in every 1000 amazing events was a genuine miracle, if we could prove miracles that common, then miracle would be more likely than survival in this case. But since we do not really know for sure of any miracles happening at all, much less how often an amazing event is genuinely miraculous, we are left back where we started: natural explanations are simply more likely. Indeed, this is true even if the resurrection just happened to be a real miracle. Hence the point made in my General Case for Insufficiency. I do not believe Jesus survived. I think my General Case for Spiritual Resurrection more closely describes what happened, since the rise of a religion from the ashes of a defeat is more probable than its continuation from some kind of survival scenario, at least given the evidence as we have it. This essay's aim has not been to argue what I think happened, but to show that the event does not qualify as a miracle, on the grounds that at least one natural explanation (survival), possibly even the least likely one at that, is still within the realm of the naturally possible (see Section I). But an interesting question can still be asked: "How do you explain the development of early Christianity if Jesus was not truly raised from the dead?" This question has been asked many times in many different forms, and it deserves a lot of space here. Although my essay seeks only to examine whether the "resurrection" itself was a miracle from a god, and not the development of the Christian creed, the two are not unrelated. In general, it would be sufficient that the original witnesses thought (or deceitfully taught) that Jesus was truly raised from the dead, either spiritually or physically. It is not at all necessary, nor even more likely, that such teachings should follow only a true resurrection, and this is why I think an actual death is more likely than survival to have generated the faith of Christianity, so I will say something on why I come to this conclusion. I will discuss in my General Case for Spiritual Resurrection various reasons and motives why this story would be believed or told by eye-witnesses (and I say more in my Main Argument). As for men like Paul (the true father of Christianity) and all converts to the creed, their faith in the original story's truth would not really depend on whether the story was true, since they could not, and as far as we know did not, check. All that mattered was whether the story's tellers were believed, and it is quite demonstrable that audiences were ready to believe almost anything in those days. I have written an essay on this very point, "Kooks and Quacks of the Roman Empire." Thus, the only relevant concern is the probability that those few eye-witnesses would transmit such a story given that it was not a genuine resurrection. This is complicated by the fact that the early Christian creed may not have involved a physical resurrection at all. It is most likely, in my opinion, that Christianity began with the message that Jesus was raised in a spiritual sense (by being given a new, better body and leaving the old one behind), which was inspired the same way most religious beliefs are: through dreams, hallucinations, or inspired interpretations of scripture, etc. If so, then we do not need to explain why the "witnesses" would tell such a story, since such a story can arise by natural causes and would be very easy to believe, and there were sufficient motives and expectations that would lead to such a belief. All that would then need explaining is how this early faith transformed into the belief in a physical resurrection (see Note 5). But if we allow the alternative, that a physical resurrection was believed or taught by some of the eye-witnesses as a result of (or in combination with) Jesus surviving, we must explain why they would do that. Of course, it may not have been taught by all of them: the earliest source we have is Paul, who was not an eye-witness and may have taught a different gospel, the others agreeing that in principle it was the same message and that the details were less relevant. This is suggested by the letters of Peter, where emphasis is placed on the transfiguration and none on the resurrection, and Paul's claim that he was willing to adjust his message to suit his audience (1 Corinthians 9.19-23). But if a physical resurrection was in the message of at least some of the eye-witnesses who preached the creed, there are the possibilities of design (whether with or without the collusion of the witnesses, e.g. the sponge theory, the escape theory, etc. ), or of fabrication or delusion, which allow plenty of room for stories of miraculous survival to arise or be developed among the followers of Jesus after he actually died. If he survived, however, some argue this would produce a different result: namely, the witnesses would see him as having narrowly escaped death, and not as having been divinely resurrected. This is not necessarily true. Although this is more likely if the survival was an accident, it is less so if it was by some design, and if it was design, we will never know it, for any definite proof of fraud would have been covered up at once, and it is only when keen skeptics were on hand that ancient fraudulent miracles were uncovered (cf. Hippolytus Refutation of All Heresies, Lucian Alexander the Quack Prophet, etc.). We have no writings from any such person who is even aware of Christianity in the first century, thus no keen skeptic checked the facts when they were still able to be checked. It may also have been partly both: Jesus may have, as he is portrayed to have, preached that he would be resurrected, and may have even believed it himself, such that his accidental survival would be readily interpreted in light of this expectation, even by himself. But the question remains: Why would appearing half-dead and desperately in need of medical attention evoke worship of Jesus as triumphant? This question was first advanced by David Friedrich Strauss in his second "Life of Jesus" in 1864. The question assumes, naturally, that there was no plan, before or afterward, by anyone, to alter the account for the greater good of the cause, and that Jesus did in fact appear half-dead and "desperately" in need of medical attention. Assaf did not, after given a brief time to recover, and Jesus was not as badly injured as he. There is also the possibility that Jesus held a self-delusion of immortality, or other religious passions, which could cause him to ignore his state or act as if he was unhurt, behavior which might actually have prevented his long-term survival at the expense of seeming fine in the short term, a course of events not unheard of in history or medical science. The question also assumes that the witnesses would not delude themselves, because of their own needs and expectations, something I think was very likely, based on what even I have seen of the behavior of fanatics. Finally, Jesus might not have appeared so unwell as Strauss suggests. Moreover, John records Jesus was still wounded when Thomas handled him, for example, so clearly Jesus looking wounded did not dissuade any Christians from believing he was raised. Fanaticism, drugs, or delusion could sustain Jesus in the appearance of remaining strong and victorious in spite of his injuries--at first--but the problem of "after" remains. Thus, we are left with the question of where he went afterwards, for which we have no clue as to the answer, but then we would not expect to. This is one of the reasons that I find survival, though still possible, to be the weaker explanation, though I don't think it entirely incredible. Did he go into the wilds somewhere and die anonymously? Indeed, he could have gone into a secluded spot to pray and died, or dropped dead on a road to anywhere, never to be found, devoured by animals, or buried by an unknowing stranger. He may even have intended to preach to Jews in Persia, and died on the way, or in some other foreign country. Or did one or two faithful converts, or all of them, quickly cover up his genuine death for the good of the cause? See my discussion of Paul's Vision for what that greater good could have been. Or was his second death interpreted as an ascension by most observers by reason of delusion or expectation, and his body disposed of in some secret fashion, by someone more privy to the truth? These hypotheses become increasingly unlikely. Still, whether his brief survival was seen as miraculous or not (assuming he survived at all), there remained good reasons to cover it up and portray it as miraculous, or to miss his death altogether. His message may have been seen as too important, or his followers may have seen their position as too precarious, to let the truth escape. There also remain good reasons to misinterpret it as miraculous: it would be natural for the defeated followers to deny the reality, to find any delusion to cling to, in order to restore their faith in his divinity and power, and justify all the time and credulous faith they had placed in him and his message, as well as to convince themselves that they, too, will be chosen and resurrected, and thus escape death, the hope of all hopes. Lest anyone think this unlikely, I offer the case of Jonestown: several survivors have, in order to preserve their faith that Jim Jones was good and divine, concocted stories of secret government hit squads, and still today stick by their "eye-witness" accounts of groups of soldiers firing machineguns into the crowds, despite overwhelming evidence that only a few dozen were killed by firearms (and they only by single pistol-shot to the head each), the other 900 by suicidal doses of poisoned punch. For example, see Michael Meiers, Was Jonestown a CIA Medical Experiment? A Review of the Evidence, published by Mellon Press, which also published four other books by Jonestown survivors, all with bizarre "eyewitness" accounts justifying their participation in, and one might think, guilt-ridden survival of, the Jonestown disaster (see Note 6). Nevertheless, after considering all of this, I agree the odds that Jesus "survived" are affected by the evidence that his survival was eventually taught as miraculous. One must consider the possibilities of design, before or after the fact, of fabrication or hyperbole, and of misinterpretation or delusion, and then account for the possibilities that his actual death afterward would be covered up or unmentioned in any record. (1) The first possibility is that of design. I have already estimated the odds of this at 1%, based on the very odd detail of the sponge (not to mention the odd burial arrangements, early removal, etc.). It is interesting to note that the Zalmoxis story may have been heard by Jesus or a colleague and inspired the idea of a similar plan. It is even possible that this plan failed, and that Jesus died even though he expected to survive by deceit, at which his colleagues might have tried to salvage the plan by hiding the body. Regardless of these musings, given that the resurrection was in any way a set-up, what do I think are the chances that it would go off as planned and thus produce the desired result (the story as we have it)? In that day and age, and given the unusual arrangements allowed as shown in the record, and the fact that such a plot had probably worked before (in the case of Zalmoxis), such a plan must have had at least a 25% chance of success, including covering up his actual death later, for a final chance of 0.01 x 0.25 = 0.25%. (2) The second possibility is fabrication. I will detail in my next essay some reasons to suspect this, but I will still only give it a 10% chance, giving the followers the benefit of a doubt, and accounting for the difficulties of pulling off such a lie--even though they are not actually great, especially if the first story was ambiguous as to whether it was a physical resurrection, and considering that, according to Acts 1:3 (and 2:1-14), they waited over 40 days before spreading the story, and that Christianity was mainly initially successful outside of Palestine, and then eventually had to expand to Gentiles, failing to increase its success among Jews. All these facts tend to support a scam of some sort, over a real miracle. But certainly at least 1 in 10 people would be willing to try something like this, even if they were entirely well-meaning--in fact, because of such higher motives--and we know there were dozens of people following Jesus, thus several would have been willing to attempt a pious fraud if they saw the merit in it, for furthering the moral cause of Jesus or their own standing among their peers. (3) The third possibility is misinterpretation or delusion. This encompasses all cases where Jesus dies without anyone's knowledge in an unknown place. I think the chances of this are not bad. Even in the accounts themselves, the witnesses seem overly receptive to such an effect. For instance, Mary sees a gardener and then thinks it is Jesus and acts as such (cf. Section IX of my General Case for Spiritual Resurrection). Normally, I would make the odds at least 75%, based on my belief that natural explanations are more likely than supernatural ones. But if I put aside that belief for a moment, I must still make the odds 50%, since the accounts themselves as analyzed in my next essay do not completely fit with an actual resurrection, but do largely fit the misinterpretation hypothesis (and on delusion or hallucination, see the relevant part of my discussion of Habermas on the Post-Resurrection Appearances of Jesus). I concluded that the odds of survival were about 1 in 4000. I can now recalculate this according to the above observations, to account for the odds that survival would actually generate the religion as we have it. The odds that survival would produce the stories as we have them are, in my own estimation, equal to one minus the product of the chances that each option above would fail to account for the evidence, i.e. 1 - (0.9975 x 0.9 x 0.50) = 0.551125, so about 55%. Thus, the combined odds of both survival as reckoned above, and the production of the stories as we have them, is 0.0002674 x 0.551125 = 0.0001474, or 0.015%, roughly 1 in 6800 (see Previous Section). Again, even if we cut the odds by a factor of ten this remains true, since even 1 chance in 68,000 is still too good a chance to dismiss, given the extent of human history and comparisons with other, even more unlikely things, which have happened, and still happen, regularly. Some ask "Well, isn't it a little coincidental that the one who was purported to be the Christ was also the one who survived the rigors of crucifixion? What are the odds of that?" The odds are very good indeed. Countless people have survived even worse rigors, but no story of miracles surrounded their survival precisely because neither they nor their companions ever claimed such. What are the odds that an amazing event being trumped up as miraculous would produce stories that it was a miraculous event? Pretty good, I imagine. On the theory that he survived, it is precisely because Jesus' extraordinary claims coincided with an otherwise unusual event that it became told as a miracle from a god rather than just an ordinary miracle of natural causes, like that of Assaf Ben-Orr. Few would even suspect a natural explanation in that day, for hardly anyone knew any better. To make anything more out of this is even worse than arguing that an eclipse occurring the very day of the Battle of Pydna, the most decisive victory of Rome over Macedonia, sealing the fate of Greece for the next thousand years, is so improbable that it must have been a miracle from a god. It may have been a miracle by some definitions, but it was by no means a special act of a god. It is what reasonable people call a coincidence. Contains three chapters by Richard Carrier, covering theories in great detail that the body of Jesus was stolen, misplaced, or raised only in the spirit realm. Now available at Barnes & Noble.com. Recorded at UCLA before a crowd of half a thousand. Carrier defends his latest theories of how Christianity began, with slide shows and new evidence from the Bible. Note 1: I am not seeking the epistemic probability of what actually happened, and thus I am not engaging in Bayesian logic here. I am not, for example, ascertaining the relative likelihood of all possible explanations of the evidence (and there are far more than two), but only identifying how unlikely I think one particular explanation is given the relevant evidence and background knowledge (in effect this would form only the numerator of a Bayesian equation, though I arrive there in a roundabout way). For instance, it is often argued without any appeal to Bayes that the odds of life forming by chance are beyond all possibility of actually happening within the given size and age of the universe. This becomes groundless on careful examination (see, for example, my essay A Comprehensive Refutation of all Attempts to Calculate the Improbability of Life, with my forthcoming article in Biology & Philosophy). But the principle is the same: it is argued that an explanation is too improbable even to consider. That is the only argument I am addressing here--not an argument to the best explanation, which is what Bayes quantifies. For more details on how this relates to the definition of a "miracle," see my discussion of Purtill's Case for Miracles. Note 2: I discuss the historical and philosophical issues surrounding ancient miracles in detail in my Review of In Defense of Miracles, and of the credulity of witnesses in "Kooks and Quacks of the Roman Empire." Note 3: There is evidence in archaeology and in Philo (a 1st century Jewish writer) suggesting there was such a practice, used on occasions like the onset of a major Holy Day, which may or may not have taken place on the day Jesus was removed. For the whole story on the likely treatment of the crucified, see my other essays Jewish Law, the Burial of Jesus, and the Third Day and Doctors Pronounce Jesus Dead! ; see also: Jesus and Jehohanan: An Archaeological Note on Crucifixion. Note 4: For a more thorough case, see: Richard Carrier, "The Guarded Tomb of Jesus and Daniel in the Lion's Den: An Argument for the Plausibility of Theft," Journal of Higher Criticism 8.2 (Fall 2001), pp. 304-18, which I have updated as a chapter in a forthcoming anthology on the resurrection from Prometheus Books. (1) Increased rhetorical need to win converts. A physical resurrection is a more concrete and wonderful proof of victory over death, and we have indications that these stories were changed to make them more convincing or impressive, e.g. compare Paul's three conversion stories in Acts with his own account in Galatians (cf. 3a); also, the late Coptic development of an appearance story for Mark, all the way to John's Doubting Thomas story (cf. Lecture), the possible fiction of the guarded tomb (cf. 2g), and so on. There is some evidence, too, that more people wanted a resurrection of the flesh, thus making Christianity more popular would require serving the needs of its market. (2) Confusion by later members over what the original message was. This is likely especially at a distance. Paul shows in his many letters, especially 1 Corinthians, that perversion of doctrine was a going problem even when he was alive. And this is even more likely after the death of the original preachers, and the widespread ruin and confusion caused by the Jewish War in the 60's AD, resulting in the destruction of the church at its source. Indeed, the fact that the appearance stories are very ambiguous as to whether they were physical or spiritual (as I argue in my General Case for Spiritual Resurrection) could easily be the product of the confusing nature of a message being differently told, and differently heard, by numerous preachers and hearers of the creed. In fact, a belief in the physicality of the resurrection may have been inspired by the Gospel of Mark, whose original version had no appearances but did depict an empty tomb, which may have been a literary invention with a merely symbolic meaning, later misinterpreted as historical and leading to elaborations of physical appearances. This confusion might even be expected, as the result of defensive "hedging," as Paul declares to be his own strategy: "I am all things to all people" (1 Corinthians 9.19-23). This would result in alterations and ambiguities in the story, in an attempt to satisfy all hearers, which would exacerbate confusion over what really happened. (3) Some doctrinal dispute now lost to us. Lost, that is, due to the victory of one orthodoxy and the suppression of all other views under the title of "heresy." In other words, the physical resurrection may simply have been one interpretation that won the propaganda war after the church was well under way, and thus only the Gospels favorable to such an interpretation survive. The four gospels were selected in the 160's by Tatian, and the other books chosen by Irenaeus in the 180's, yet heresies were being declared even as early as the 140's (against Marcion, for example). We know there were controversial versions of events that were suppressed before the orthodox canon was chosen (see my essay The New Testament Canon). Most scholars agree there were divisions in the Church from very early on, and even Paul attests to their existence in his letters--yet gives us very little information about his opponents or their views. (4) The idea was imported through syncretism with other religious beliefs. This is especially likely when the creed mingled in Greek society, where traditions of physical resurrection already existed (cf. Herodotus 4.94-96, Plutarch Moralia 973e-974a, Lucian Philospeudes / Lover of Lies 13 & 26, Origen Contra Celsum 2.55, 3.26, 3.32-33, Diogenes Laertius 8.67-8, Apuleius Metamorphoses 2.28 and Florida 19, 10.11-12, Apollonius Mirabilia 2-6, Pseudo Aristotle De Mirabilibus Auscultationibus 839a, Phlegon De Mirabilibus 1-3; later, Philostratus Life of Apollonius of Tyana 4.45). In fact, there were even Hebrew precedents (1 Kings 17:17-24; 2 Kings 4:19-37) and the Christians clearly accepted something like it very early (Mark 5:21-43 [Matt. 9:18-26, Luke 8:40-56], Luke 7:11-17, Acts 9:36-43 & 14:19-20, John 11:5-44). Apologists often parrot the false claim that a physical resurrection was "anathema" to the Greek mind, yet the evidence I cite above shows otherwise (and I give a clearer argument with new information in my Main Argument). Moreover, the only evidence Christians offer for this "anathema" theory is Acts 17:30-32, but that passage actually proves that many Greeks were receptive to the idea. The passage tells us that "some of [the Greeks] sneered, but others said 'we want to hear you again on this subject'...[and] a few became followers of Paul and believed." Does this look like the idea was "anathema" to the Greek mind? Hardly. Likewise, the distinction between "resurrection" and "resuscitation" did not exist in the Greek or Hebrew languages: the same words meant both. The conceptual distinction was Jewish, inherited long before from their Zoroastrian captors, and would fully explain how the Jews would adopt pagan resuscitation beliefs and transform them into Jewish resurrection beliefs. Note 6: In addition to this example, Kenneth & Talita Paolini document the desperation to believe that typifies many people, who get involved in cults even today, in their book 400 Years of Imaginary Friends (2000), and then there is the famous analysis of fanatics by Eric Hoffer, The True Believer (1951). Copyright ©2006 Richard Carrier and Internet Infidels, Inc. All rights reserved.